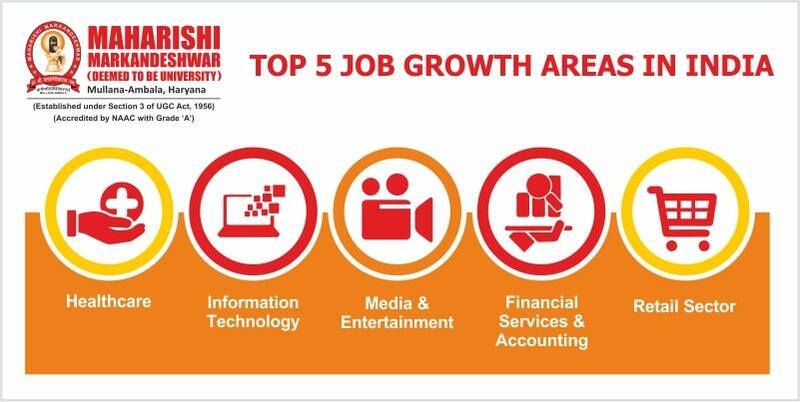 If you’re a career-oriented student and planning to do a course in the area boasting highest job opportunities, let’s help you take the first step towards a future-proof career with the listing of top 5 job growth areas. It has been found that tons of jobs that are widely available today didn’t exist ten years ago. Futurist claims that in coming years up to 60% jobs that people would be doing aren’t invented yet. But for those who want to know the current market trends, we’ve summed up a few job growth areas that are expected to lend you a bright future. A revolution has been witnessed in the world of healthcare in the last few years and the need for professionals at different levels of expertise continues to climb. According to reports, over than 40mn new jobs are expected to be generated in the field of healthcare by 2020. Students who have passion in the field can start their journey in healthcare by getting admission into it. Employment opportunities are abundant in the field of healthcare for medical students. Right from the government to private hospitals, students can choose to work as per their field at various levels. Or, if no interest in doing a job, you can probably run your own medical house to help patients. The IT sector has been India’s most admired sector for quite some time now. Professionals in the field of IT are pretty much in demand these days. Initiatives like digital India are encouraging people to become technologically advanced and for that mobile plays a vital role in shoving Indians to become digitally smart. Such initiatives are also expected to drive employment in the field of IT. Reports suggest that the Indian IT sector is all set to generate a myriad of job opportunities by 2020 for those who have expertise in the field. It has been predicted by the experts that by the year 2020, the financial and accounting sector will need more than 8 million of the workforce to successfully run this sector. Thus, there will be an extreme demand of students who have mastery in the financial and accounting field or who are planning to jump into it. In the last few years, the retail sector has fetched many eyeballs. At present, only a small part is organized in India in terms of retail. Regardless of the fact, it is assumed that the retail sector is going to expand as both domestic and international players are planning to make efforts to take the field to the next level. It might come as a surprise, but the field of media and entertainment is going to become one of the most growing careers in India in the coming years. The job opportunities in this field are likely to be rising as the sector is witnessing incredible growth in various terms. Why waiting? Finally, get set to make a move at your own pace into the field that best suits you and is expected to grow well in the years to come. Here’s to hope that the aforementioned job growth areas will help you decide your stream. We wish you a bright future ahead! Well written content material. Really enjoyed reading through. Hiya, I’m really glad I have found this info. Today bloggers publish just about gossips and net and this is actually irritating. A good site with exciting content, this is what I need. Thank you for keeping this website.